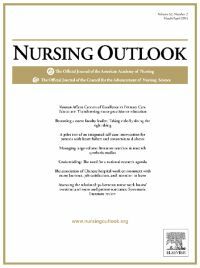 Marion E Broome, PhD, RN, FAAN, is Editor-in-Chief of Nursing Outlook, the official journal of the American Academy of Nursing and the Council for the Advancement of Nursing Science. Here she recalls the chain of events that led her to write Open access publishing: A disruptive innovation, an editorial which appears in the journal’s March/April issue. I distinctly remember sitting in the audience of a conference for INANE (International Academy of Nurse Editors) in 2009, listening to a speaker talk about the new publishing vistas we could expect to see within the next five years. Open access publishing was one of those ‘new vistas’. My first thought after his presentation was “I guess this editor gig (which I love) will only last another two years or so.” My second thought was to listen closely, do more reading about these various ‘vistas’ and try to stay ahead of some of the changes, just in case…. The open access movement, and most of all people’s opinions about it, had always fascinated me. It seemed to me that the extremes of opinions on either side were not based entirely in facts or reality. And, as an editor, it also seemed to me that the world of big publishing (i.e. Elsevier) was increasingly taking this movement seriously and becoming more author-focused – which, of course, makes my job as editor much easier! For instance, moving accepted papers to ‘in press’ status featured on the journal’s website and available to readers prior to print publication (and very soon after acceptance) has been one especially popular author-centric change. Like many editors, thinking about an editorial topic that will be of interest to readers is always a challenge. Yet, in this case, two weeks before I decided to write Open access publishing: A disruptive innovation, a faculty member approached me about paying her publication fee. What I heard was a very biased presentation for open access and against big publishing. I spoke with another individual who, while getting a dossier ready for promotion, submitted a paper to one of the predatory online journals which had promised him ‘rapid and free dissemination of his important ideas that would reach all the key people in his field’. These convergent experiences provided the stimulation for my editorial! As I developed the text, it occurred to me that given how fast the field of open access is changing, I needed someone who is closer to it in terms of what is new, accurate, etc., so I asked my publisher, Nina Milton, to read it over and see if I was missing or misinterpreting anything. She provided some additional resources, which I reviewed. I also re-read selected articles on the blog the scholarly kitchen, which I think provides a balanced perspective on this and many other topics. Then I finished the editorial and the rest, as they say, is history. I enjoy writing useful editorials that allow me to help people update their knowledge and think about both sides of an issue. This editorial, given all the emails and comments I have received, clearly achieved that! What more could an editor ask for? Marion E Broome, PhD, RN, FAAN, is Dean and Distinguished Professor at Indiana University School of Nursing. She is a leader in nursing research, service and education and has helped pioneer the treatment of pain in children. 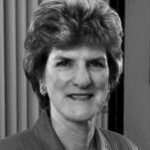 She founded the Society of Pediatric Nurses and has been inducted as a charter member of the Sigma Theta Tau International Nurse Researcher Hall of Fame. “…the blog the scholarly kitchen, which I think provides a balanced perspective on this and many other topics”. Er, no. Among OA supporters, the majority of posts in Scholarly Kitchen are viewed as biased against OA. I found this post to be a cogent and objective discussion of the advantages and challenges open access brings. But, of course, perception of ‘objective’ is always in the eye of the beholder. In the comments section of the text of Rick Anderson’s lecture, I recommend that you search for the comments posted by Jan Velterop, the first publisher of BioMed Central, a pioneering open access publisher. Good rational comments.